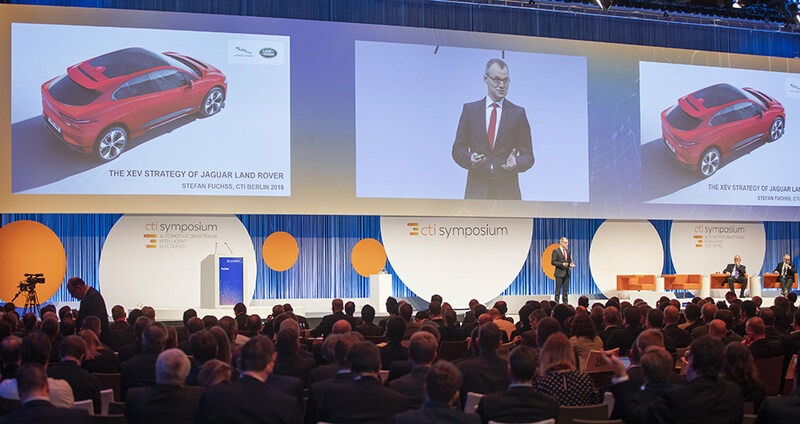 The International CTI SYMPOSIUM and its flanking specialist exhibition is THE international industry event in Europe for people seeking latest information on developments in automotive transmissions and drives for passenger cars and commercial vehicles! Submit your paper proposal for the world’s most impactful transmission and drive congresses! 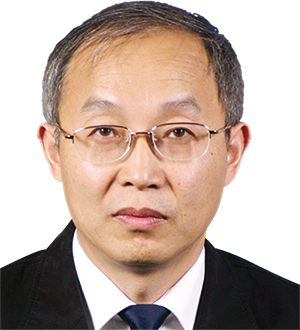 Interview: Prof. Dr. Tong Zhang – Electromobility is gaining momentum, especially in China. Would you consider the Chinese market as the leading one? Turn on the subtitles for English translation! 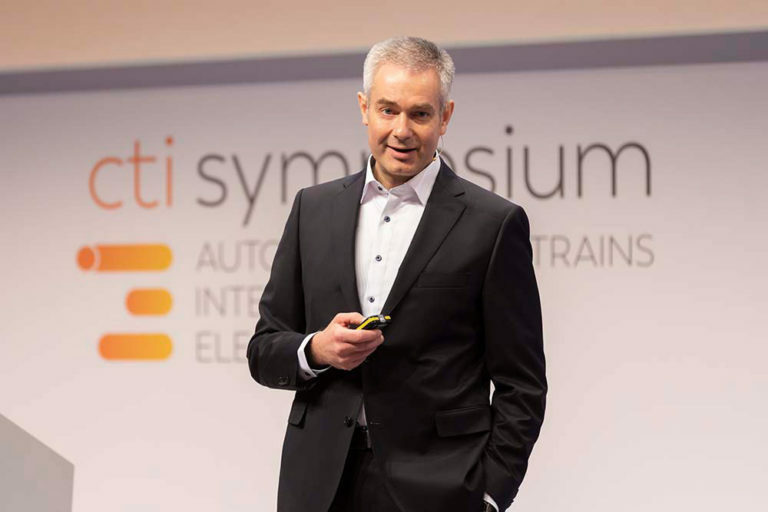 Interview: Dr. Joachim Damasky – Did the German vehicle manufactures finally wake up when it comes to electromobility? 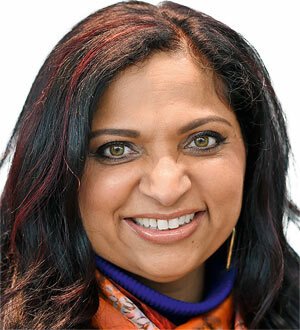 Interview: Mamatha Chamarthi – Will the digitization of the automobile disrupt the market? 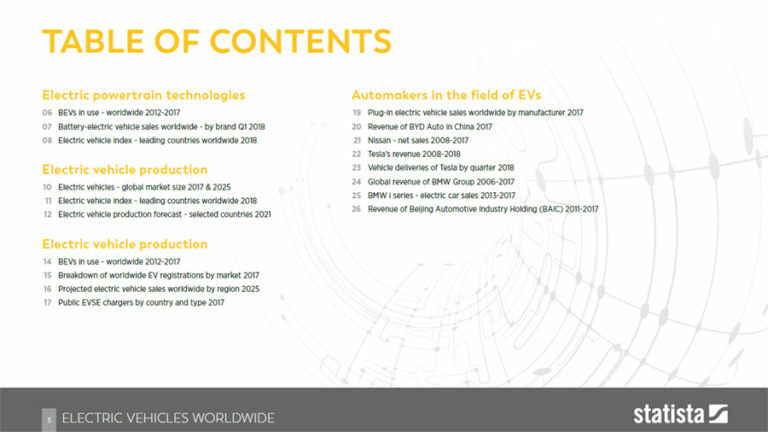 This dossier presents graphs and tables about electric vehicles worldwide and in the United States. Focusing on production and sales, the publication also provides data on selected electric car manufacturers. 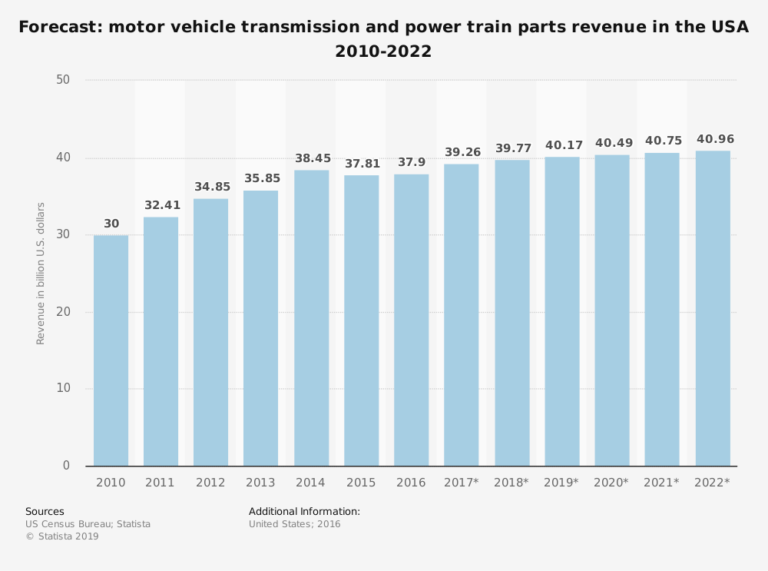 This statistic shows the revenue of motor vehicle transmission and powertrain parts manufacturing in the USA from 2010 to 2016, with a forecast to 2022. 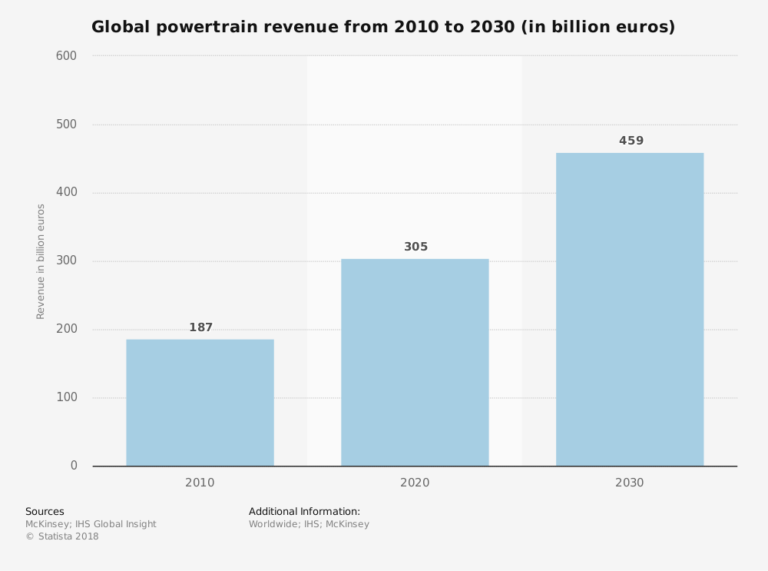 This statistic represents the projected global powertrain revenue from 2010 to 2030. 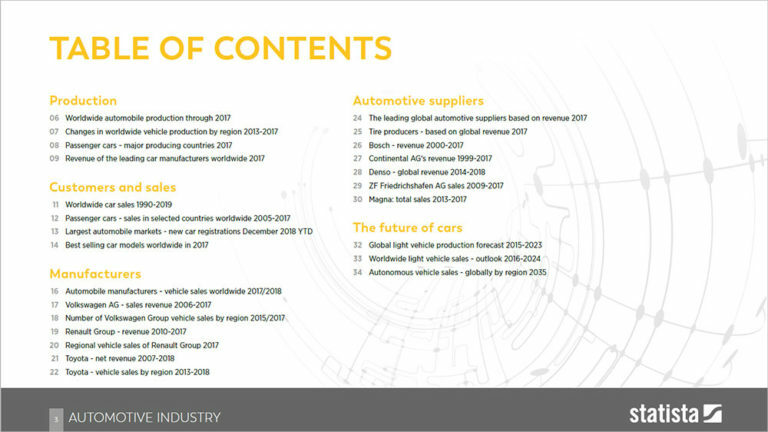 This dossier presents graphs and tables about the automotive industry worldwide. Focusing on passenger vehicle production and sales, it also provides key figures for selected car manufacturers and automotive suppliers. This statistic shows the most valuable automotive brands worldwide in 2018, based on brand value. 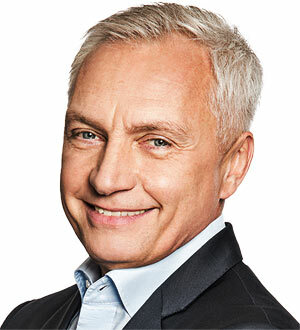 The Toyota marque was ranked as the world's most valuable car brand in 2018, with a brand value of nearly 30 billion U.S. dollars.